“Zeng says he should know. He worked for Sohu.com as business department director before defecting to Tom.Com two years ago. 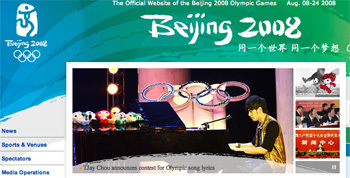 One of his projects at Sohu.com was the Olympic deal. Thanks to Adaptive Path‘s Dan Harrelson for the tip.